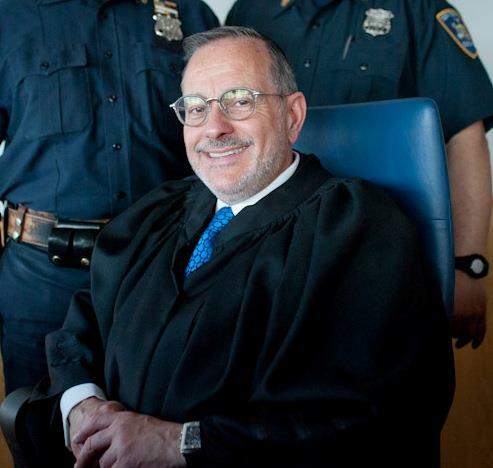 Acting Brooklyn Supreme Court Justice Noach Dear can now remove the “acting” from his title. Dear, a civil court judge since 2008, won election on Tuesday for a 15-year term on the state’s highest trial court. He ran unopposed on the Democratic, Republican and Conservative party lines for the seat he’s served on in a provisional position for the past couple of years. Dear has been involved in both the civil and criminal divisions of the court, but in recent years he has increasingly focused on consumer debt. Several months ago he developed at the instruction of the state’s retiring Chief Justice Jonathan Lippmann a manual for judges on credit card debt. He says he is now in the process of producing a training video for judges to learn how to adjudicate consumer debt and another one for borrowers initiating them into the world of consumer debt court. Dear is the ranking judge in Brooklyn when it comes to consumer debt issues. It has turned him into a hero of poverty advocates but has also earned him enmity of credit card companies and derision by the city’s tabloid press. “Justice is not blind — it’s open,” said Dear, offering a novel take on the ancient proverb. Dear, a former nine-term city councilman who represented Midwood, was able to run on all three major party lines with the help of Frank Seddio, the chairman of the Brooklyn Democratic party. Seddio arranged for the Republicans and Conservatives to cross endorse all the candidates. On Tuesday, Dear received approximately 41,000 votes, he said. He will now serve until the next election in 2030. This article appeared in print on page 1 of the November 6th, 2015 edition of Hamodia.